Hailing from Serbia, locked down in deepest Belgrade, Treo is an artist that has already made a significant impact upon the World wide drum & bass scene. With a back catalogue of releases on labels such as Freak, Obscene, Bad Taste, C4C, SOM Music, Critical, Sinuous and more, his reputation is one of a leading DJ / Producer that draws upon his strong Techno influences and fuses them into his own break beat orientated music. 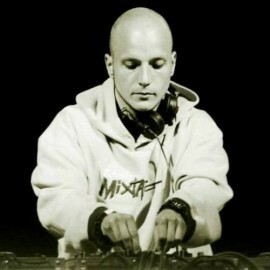 His sound is supported from many artists, such as Audio, Dj Hype, State Of Mind, Ed Rush, Nocturnal, Spectrasoul, Chirs Su, Cause 4 Concern, Vicious Circle and many more. Treo is also a member of the Freak / Anger Management collective, and now joins the Broken Audio family to add to his already extensive portfolio of production credits.